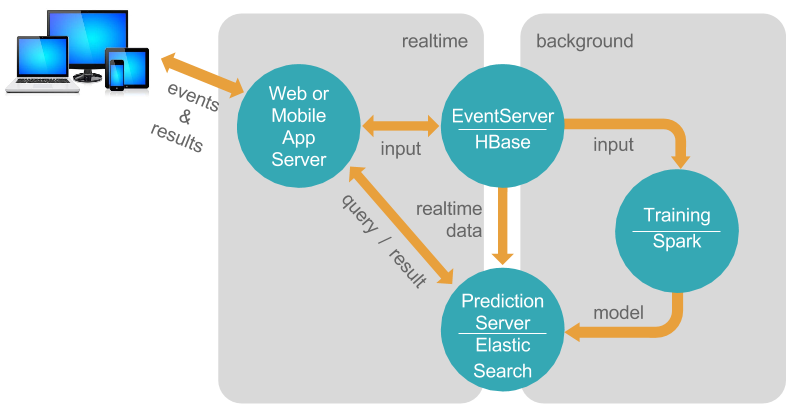 I’ll assume if you’re reading this that you’re already at least familiar with Universal Recommender, the most popular ML engine for PredictionIO. If you’re not sure what either of those things are we’ll have a separate post on those in the near future. The creators of Universal Recommender (Pat Ferrel and the team at ActionML) make it super easy to get started trying out their algorithm, loading in some of your own data, training, and getting personalized recommendations back out. 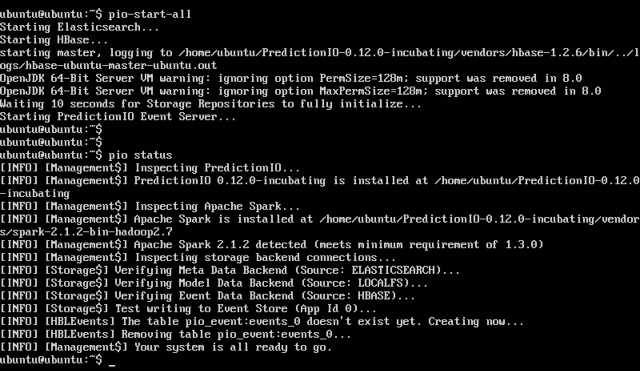 You can just spin up an EC2 instance preloaded with everything you need and get off to the races. This is a great option for anyone who doesn’t really need to know the configuration details right away, doesn’t mind paying a little bit to avoid the setup effort, and doesn’t need the latest versions of Universal Recommender and PredictionIO. For people wanting to save some money and dig in, or those who like to stay on the bleeding edge, this guide will document in detail the steps necessary to get the latest and greatest Universal Recommender (0.7.0) and PredictionIO (0.12.0) up and running in a virtual machine. I could have done this on EC2 just as easily, but figured I’d do this in the simplest, cheapest fashion possible. PredictionIO and Universal Recommender are designed explicitly to work well with big data, so small amounts of RAM won’t cut it even for trivial pilot projects. Even at 4GB you’ll likely need swap space to keep from crashing while training the models. Universal Recommender is not yet compatible with Spark 2.2, so I had to ignore the directions in the PredictionIO guide. uncomment the "JAVA_HOME" property and set it to "/usr"
Now that we’ve got everything in place we’ll need to update the PIO environment settings file considerably, and then build the source code. This may take a WHILE depending on your VM settings and what else you’ve got running. Universal Recommender uses a custom version of Mahout maintained by ActionML for a performance boost. Future versions of Mahout may integrate the custom code and this will no longer be necessary. And now you’ve got yourself a running dev instance of PredictionIO with the Universal Recommender installed as an engine! In an upcoming post we’ll re-do these instructions on AWS with 2 different instances so that we can keep one less-expensive instance running at all times, and spin up a heavy-hitter for the memory-intensive Spark machine learning model generation. We’ll also be demonstrating how to load user event data into PredictionIO, and how to configure different Universal Recommender models to get different behavior. Also as an experiment, I’m going to be turning these instructions into a screencast video to see if that’s preferable for people following along.